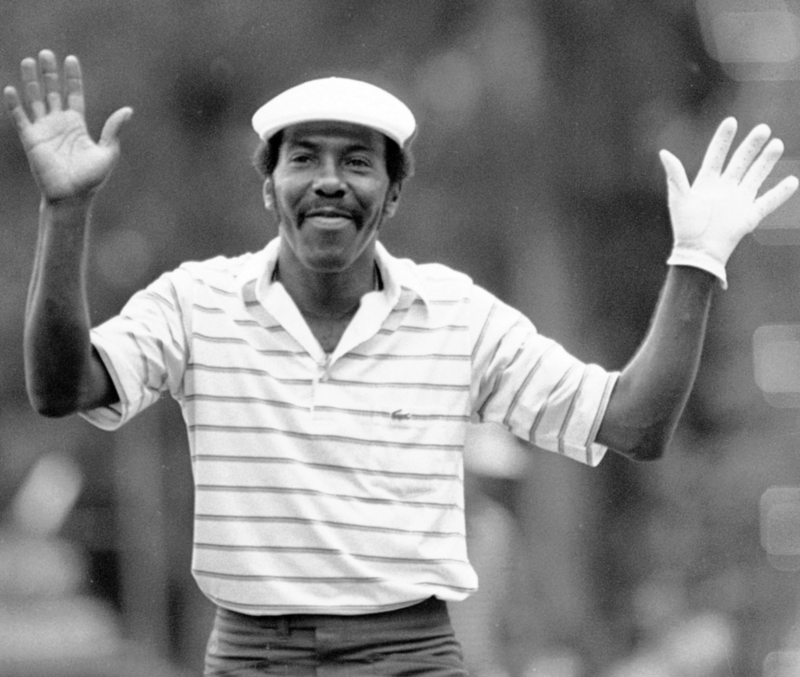 This game pays homage to the straightest driver of the ball in golf history, Calvin Peete. Before going into details, I recommend playing this game with friends who exercise good sportsmanship. The one flaw of this game is that someone could try and gain a gambling edge by hitting a bad shot on purpose. I find this to be by far the best game to play when in a group of three. It is a variation of six point scotch. Six point scotch is most often a two on two game that rewards 2 points for the low ball, 2 points for the low total, 1 for closest to the hole (prox), and 1 for birdie. If you get all six points it "umbrellas" (doubles) to 12. Each point is worth what you choose at the beginning of a round .50, $1, $2, $4, etc. For the Calvin Peete version of this game, a new team is created on every hole. Every player tees off and then the teams are decided. The ball that is in the middle in comparison to the other two balls from the tee box is on a team by himself and has par (net/gross) as his partner. From there, you just play the standard six point scotch game with points for the low ball, low total, prox, and birdie. It does not matter where the three balls wind up, just who is the middle of the three. Example: If ball 1 is 30 yards out of bounds right, ball 2 is just barely out of bounds right, and ball three is in the middle of the fairway, the guy with par as his partner and the man in the middle is ball 2. It is also important to determine the middle ball by looking back at the tee and not by looking at the green (weird things happen on doglegs). Another thing we decided is that the ghost par cannot win the 2 points for the low ball, only tie it. Other than those few distinctions, it is your basic six-point scotch game! Have a game that you want to be featured as the golf game of the week? Send in your game here. Sign up for our newsletter and get a new game to play with your friends every week.